Home » SolarWorld Carport – Solar Powered Protection. The SolarWorld Carport combines a traditional carport with a high-performance solar panel roof. We can create a solar power station within your property grounds. All the benefits and features of a solar panel system, plus an electric car charging facility can be installed. 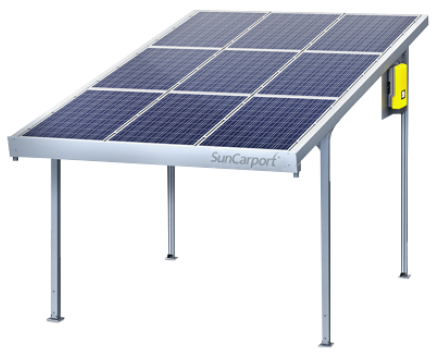 The SolarWorld Carport provides you with another surface, in addition to the roof of your house, to install a high-performance solar power system. 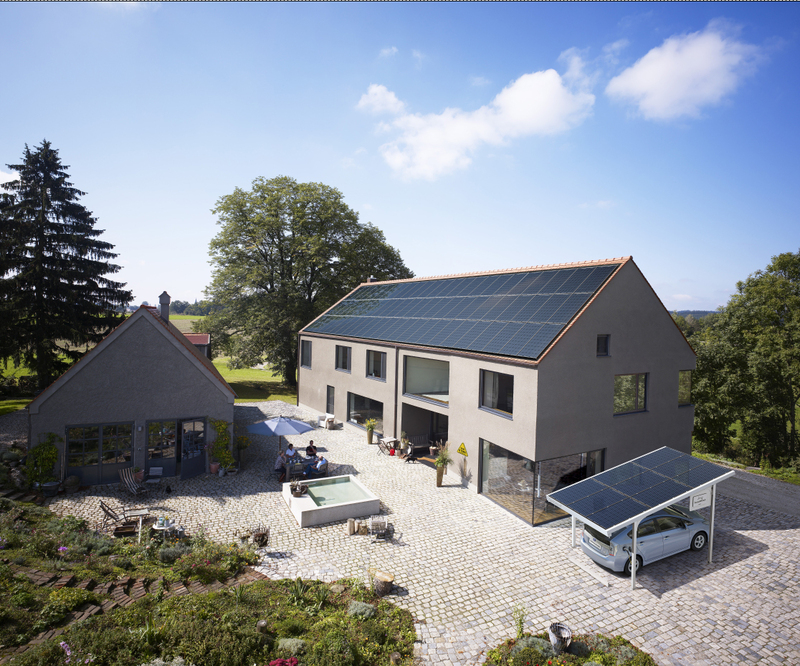 The SolarWorld Carport is eligible for Feed In Tariff compensation. This allows you to earn a reliable annual income. Free electricity will be generated from the solar panel system. Traditional carport benefits, such as protecting your car from all weather conditions. The SolarWorld Carport can also use the free electricity generated to charge electric and hybrid vehicles. This can be combined with a traditional electric vehicle charging station. An export tariff from your energy supplier if you chose to ‘sell back’ any unused electricity to them. Excess electricity can be stored and used later if you chose to install a battery storage facility. Available in SunCarport blue and SunCarport black. Can also be installed as a double carport. Contact Coretech Solar today for more information on how you can install a SolarWorld Carport on your property. Alternatively request a call back and we will contact you as soon as possible to discuss your options. *Customers who are the registered keeper, lessee or have primary use of an eligible electric vehicle may receive up to 75% (capped at £700, inc VAT) off the total capital costs of the chargepoint and associated installation costs.